California Has Struck Gold—No, Wait, Coffee?! For years, we’ve enjoyed steaming cups of coffee from countries such as Ethiopia, Brazil, and Colombia. Well, move over big boys, there’s a new kid in town! And it all started at an organic farm in 2002 in Santa Barbara, California. Meet Jay Ruskey, the owner of Good Land Organics, who is widely regarded as the father of the state’s emerging commercial coffee business. A cozy business that could someday rival Hawaii’s—once thought of as the only U.S. state that could grow coffee. "We learned that we had the ability to grow very good coffee with a very unique flavor," Ruskey explained in a February 2018 NPR story. "There is a misconception that you can't grow coffee outside the Tropic of Cancer." In 2017 Good Land Organics' coffee program grew to become Frinj Coffee, Inc. The name is a nod to Good Land's ability to grow coffee on the fringe of traditional coffee producing regions. These days, Frinj leads over twenty-four partner farms in California, working to develop southern California as the first specialty coffee growing region in the continental United States. Good Land Organics is the heart, headquarters and flagship farm of Frinj Coffee. Farmers in California have been getting creative, with a special advantage up their coffee-growing sleeves. Their once-thriving avocado crops are now producing less fruit due to age and drought, so farmers are using the trees as shade canopies for their new coffee plants. The mushrooming state industry now boasts 30 farms growing more than 30,000 coffee trees, according to the University of California's Division of Agriculture and Natural Resources. And Good Land Organics alone boasts over 1,500 hardy coffee trees. Because Ruskey and farmers like him are considered experimental, they can “play with” many varieties of exotic coffee plants and offer their delicious coffee at a premium. In December 2017, Blue Bottle Coffee became the first retail shop to pick up Good Land Organics’ coffee – their offering included 100-gram (about 3.52-ounce) tins of a Geisha and Caturra blend from Frinj, sold in individual boxes for $65 plus shipping. Unfortunately, the coffee covered only a limited time, and now it's on back order through this year. You can find a full review by one lucky lady who managed to get her hands on a tin of the Geisha blend at Coffee Cantata. California coffee growers still face perils in the form of climate change, disease, and variable quality. Scientists in California focused on coffee plant research will continue to study such issues as how altitude affects the flavor of beans and how well emerging crops can resist disease. If you’d like to learn more about California coffee farmers, check out this article in the New York Times. 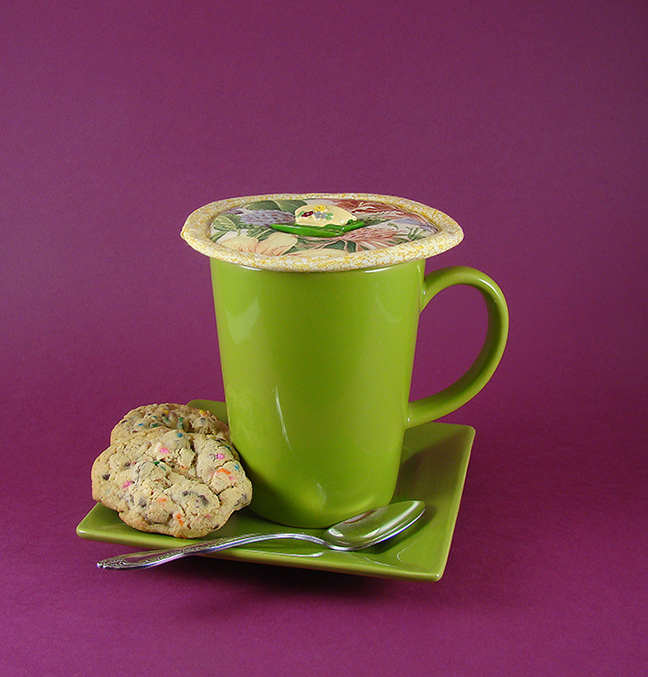 And make sure you have a Kup Kap from Koffee Kompanions on that cup of joe while reading! Sunshine Floral Kup Kap cup cover from koffeekompanions.com is the perfect match for sunny California's new coffees. Have you experienced California coffee? Tell us about it in the Comments section below.